All the Muscat comes from the alluvial gravelly soil of the Herrenweg vineyard in Turckheim. It is in fact a blend of Muscat d’Alsace (small berry) and Ottonel. 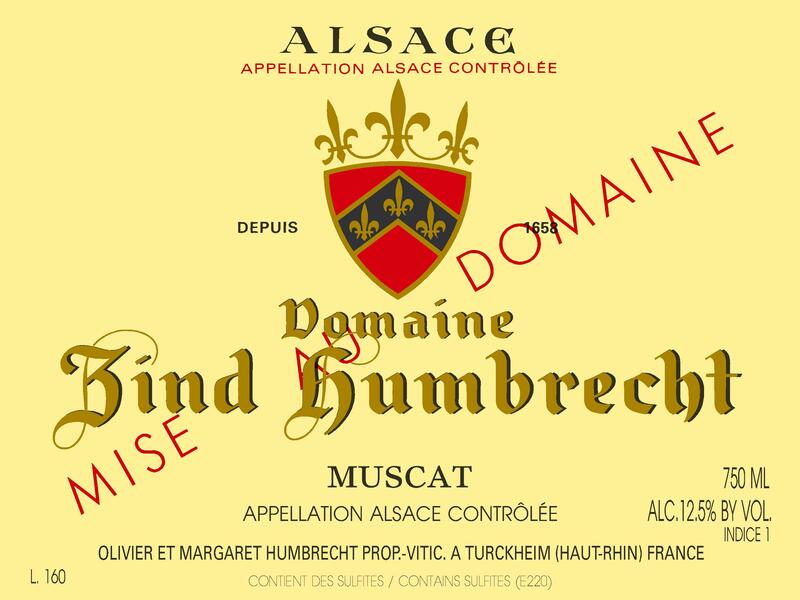 The change in climate has pushed us to increase gradually the proportion of Muscat d’Alsace because it ripens later and keeps a much more interesting structure. The fermentation was very fast and the wine finished tasting dry. Already showing intense fruit, it was obvious for us to take the decision to bottle it early. 2/2013: The nose is very intense and refined, showing beautiful flowers aromas and fruits. The palate is delicate and the dry finish makes a very interesting wine to combine with aromatic light dishes (asparagus, langoustines) and also the perfect summer wine.